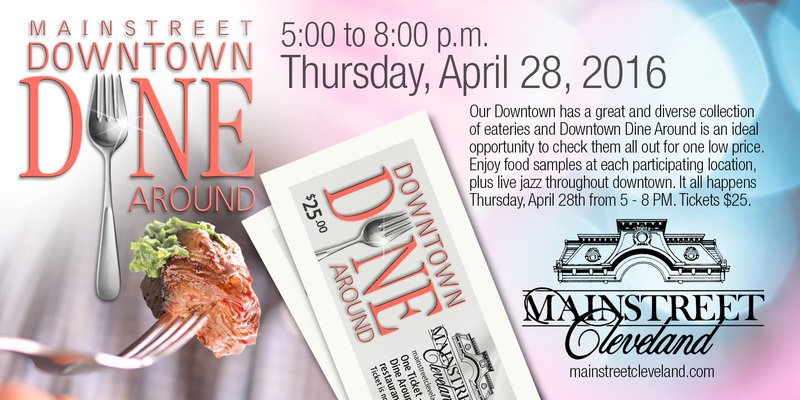 We are once again excited to be participating in the 2016 Downtown Dine Around, sponsored by the Mainstreet Association, April 28. It is an evening for you to sample all the great food that downtown Cleveland restaurants have to offer , as well as visit and shop the downtown local shops. Each year we welcome hundreds of people to our showroom for an evening of fun, food and drink ,while viewing all the newest and latest products for every room in your home. Each Spring we love to see all the old familiar faces and have the chance to meet new ones. Tickets on sale, April 7th. For more information and to purchase tickets, come in and visit us at Haskell Interiors. Tickets go fast, so be sure to get yours before they sell out! Record crowds were on hand recently for the 50th Anniversary of the Tri-State Homeshow, held in Chattanooga. With over 260 businesses participating, it was the largest show in recent years as well. 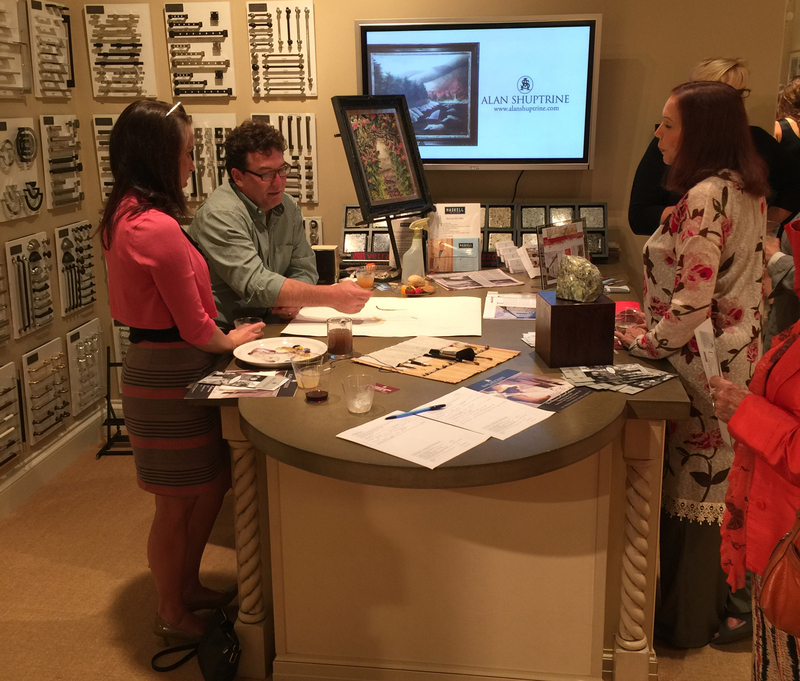 We were excited to be there, showing a sampling of the latest products available in our showroom. It was a great opportunity to see some familiar faces of clients and customers from the past and to meet many new people who are ready to start a new home or remodeling project. Our glass tile boards were a big hit as well as our exotic cabinetry pulls and knobs. 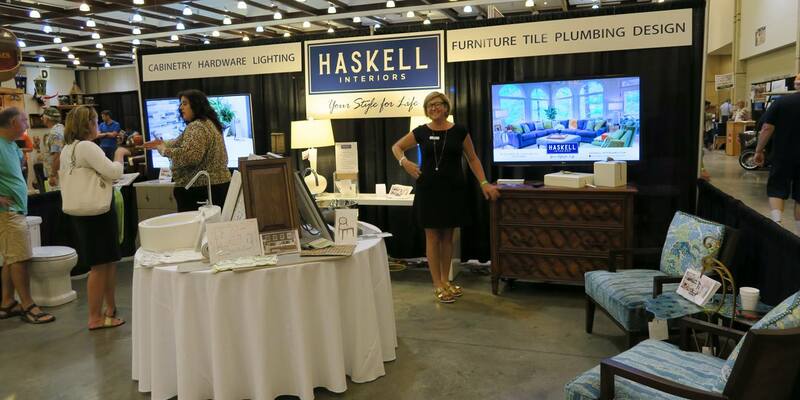 If you werent able to make the Spring show, you can see us again this fall at the Fall Home and Remodeling Show, held once again at the Chattanooga Convention Center August 27-28. We recently held a showroom event and had as the guest of honor, nationally celebrated watercolorist Alan Shuptrine on hand to demonstrate and discuss his techniques as well as discuss his year long journey painting the people and place of the Appalachian Trail, called the Serpentine Chain. Eventually all the paintings he paints will travel around the country and also will become a book.